Android TV is rapidly becoming one of the best ways to watch apps like Netflix 10 Niche Streaming Services for Those Who Hate Netflix 10 Niche Streaming Services for Those Who Hate Netflix Mainstream streaming services carry mainstream content. What can you do if you want to watch something a little less conventional? You're better off checking out these alternative streaming services packed full of niche content. Read More , Hulu, and Amazon Prime Video. And thanks to the success of the 2017 Nvidia Shield 7 Reasons the Nvidia Shield Is the Ultimate Device for Cord-Cutters 7 Reasons the Nvidia Shield Is the Ultimate Device for Cord-Cutters The Nvidia Shield may just be the ultimate device for cord-cutters everywhere. Here are seven reasons why it beats the competition without much effort. Read More , it’s now starting to rival Roku as the must-have operating system for cordcutters. 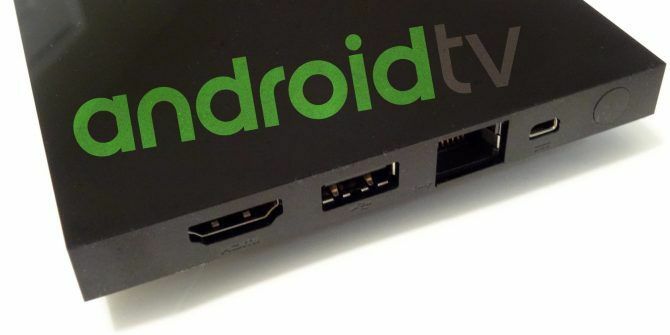 But not all Android TV boxes are made equal. At one end of the scale, the $300 Nvidia Shield Pro ships with 500GB of storage. At the other end, some cheap Chinese models on eBay come with as little as 4GB. Luckily, it’s easy to add more storage capacity! Plug your USB drive or external hard drive into your Android TV device. On the home screen, scroll down to Settings. Go to Storage and reset. Find your external USB drive and select it. Choose Set up as internal storage or Format as device storage (exact wording differs between devices). You may need to select Move now (depending on your device). Have you used this trick to increase the storage capacity of your Android TV device? Let us know in the comments. The 10 Best Ways to Read Comics Online for FreeWhich Music Identification App Is King? it doesn't work. even in the picture in the article, you can clearly see "erase and format as REMOVABLE STORAGE"
What Is the Best Smart TV Operating System?